I Just Need More Glue, Paint, Pens and some Fun Paper . . . : Tattered Angels Tutorial! I am so excited to share with you a tutorial that I created for Tattered Angels! I had so much fun playing with their glazes to make this rustic tulip piece for my house! Here are just a couple quick pics of the project, but jump on over to the Canvas Corp blog to see the whole tutorial!! Weather the wood background and add some stenciling! 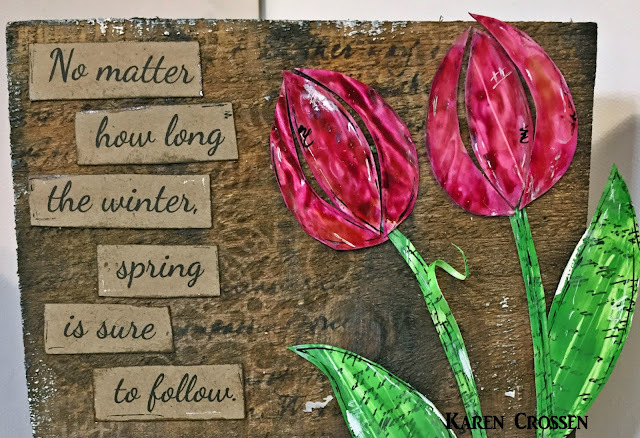 Plan out a picture that you want to create and make your embellishment pieces! 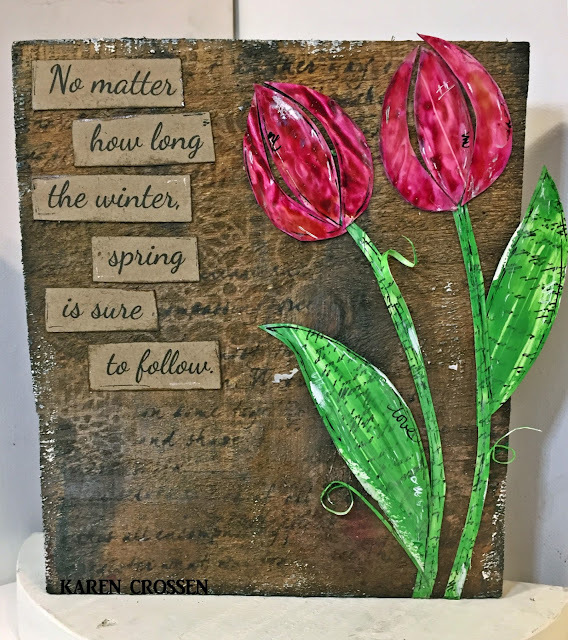 Visit the Canvas Corp blog to see a much more detailed post about how to create a rustic tulip piece!